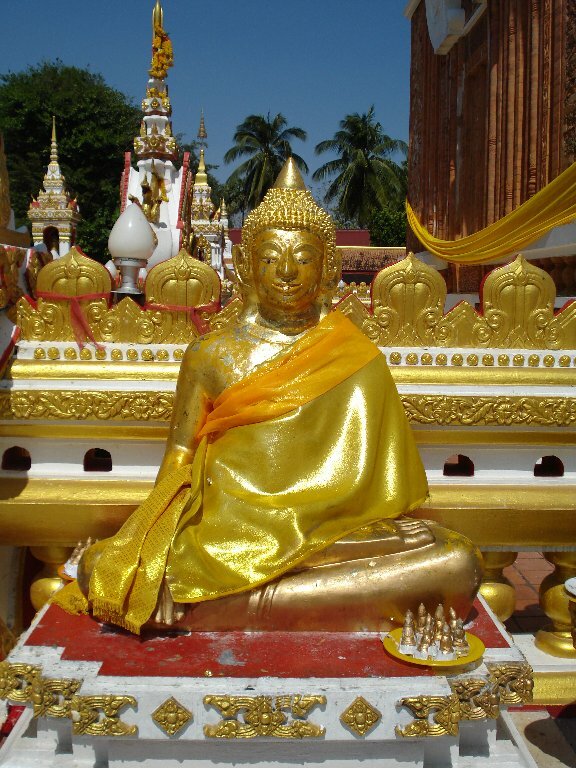 Today marks the beginning of Buddhist lent in Thailand. Buddhist Lent starts on the first day of the waning moon of the 8th lunar month (July) and ends on the 15th day of the 11th lunar month (October). Also known as the rains retreat or Khao Phansa in Thai. 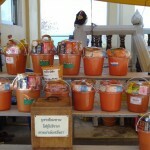 it’s a time when all Buddhist monks will spend the next three months of the rainy season in permanent dwellings. In early Buddhism it was believed that if a monk or holy man traveled during this time when crops started growing they might accidentally trample new plants. Buddha himself said all that follow him should also follow in this tradition. This is the day that Buddhist monks will take a vow to stay in one place or temple which will house them from the coming storms and rain. During Lent Buddhist monks aside from staying in one particular temple will teach those that wish to become ordained in the Buddhist doctrine. This will be the beginning of their studies. In Thailand The monks will vow to stay in one temple and not leave the temple grounds. Normally the monks would walk the surrounding city or country every morning to receive offerings from the people but being growing season Buddha doesn’t want them to trample new seedlings. The beginning of Buddhist lent in Thailand is a celebration centered around the ceremony of giving candles to the temples for religious worship. Colorful candle processions will be organized at each temple where the offering will be made by many participants. The procession itself will have many large ornate candles carved from bees wax into shapes of temples, religious figures, and creatures. The act of donating candles to the temple for religious worship is supposed to give great blessings to the donor. 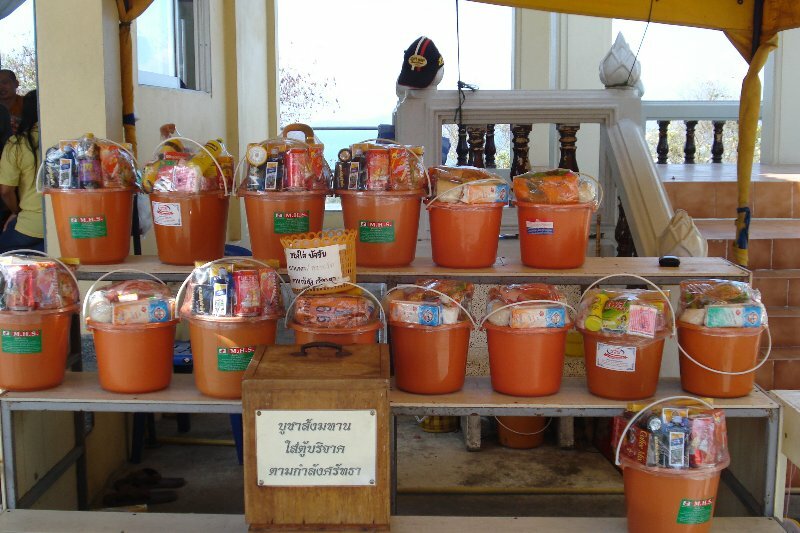 They will also offer food and other necessities to the monks and then the procession will walk three times around the temple. After which prayers and meditations will be done. At this time a lot of buddhist followers will make resolutions to be a better person by giving up smoking or alchohol and observing the 5 precepts of Buddhism. No matter what religion you are visitors are always welcome to take part in the ceremonies. Just visiting a temple on a non-holiday and making an offering is a very soothing experience that you shouldn’t miss out on if you get the chance. Celebrations for the King, but will he attend? That was quite interesting. Does the lent season apply only to the monks and not to the people? Also, does a public celebration take place at the beginning of the lent or is it taken place privately within the group of monks in the temple. It is always nice to learn of others cultures and religions. thanks for posting this article. I have always been interested in Buddhism, it seems like it is a peaceful religion. DirtyLaundryDivas last blog post..Would you take cleaning advice from the RaunchyPetHome owners? 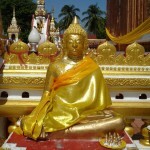 The lent season applies to monks in terms of not traveling but all Buddhists should try to maintain the 5 precepts. The candle procession is a public celebration. Is it just in Thailand, or the Lent applies to all the Buddhist in the world? A lot of Buddhist’s such as the Mahayana Buddhists have given this practice up since they are not in a climate that has a rainy season. And although it is undertaken by many followers they really only try to maintain the 5 precepts. The 5 precepts are the basic teachings of all Buddhas, so by doing them all we also have doing all the teachings. I never knew that Buddhist had a “lent”. Very interesting post, thanks! a wonderful rites. glad to know this. thank you my friend. I wonder if I could qualify to become a Buddhist monk? And how long do ya think it might take? In Thailand there is only 1 legitimate female Buddhist monk although there is a movement to change this. Females that wish to follow the order can become nuns and don the white robes. Lol, Talen, there is more to me than shallow obsessions, contrary to popular opinion. If I were to practice a religion, it would probably be Buddhism.